he Bernese Mountain Dog, also known as the Berner Sennenhund, is one of four breeds under the umbrella known as the Swiss Mountain Dogs. 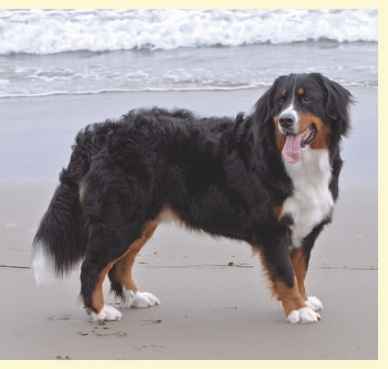 The other breeds are the Greater Swiss Mountain Dog, the Entlebucher Sennenhund, and the Appenzeller Sennenhund. 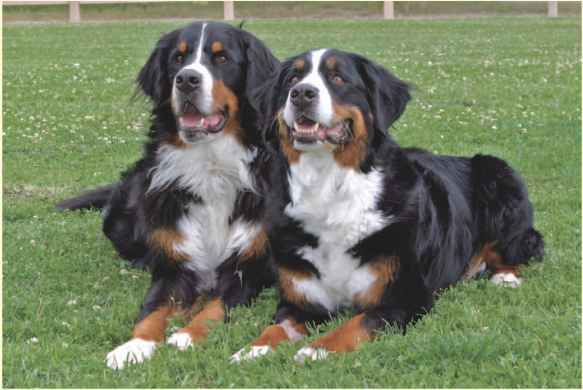 All four share the distinctive tricolor markings, but the Bernese is the only one with a long coat. The Berner is an old breed in Switzerland—her ancestors were brought to the region by Roman soldiers 2,000 years ago—and throughout her history has been an all-purpose farm dog. These dogs drove cattle, both on the farm and to market, pulled wagons, protected the farm, and of course were family companions. This is a large breed, with males standing 25 to 27 inches tall at the shoulder and weighing between 90 and 120 pounds. Females are slightly smaller. Dogs should give the impression of stockiness and power; they should appear able to work hard. The coat is moderately long, straight to slightly wavy, with a thick undercoat. The dog is black with copper/rust and white markings on the face, chest, all four legs, and under the tail. Her expression is alert and good-natured. The ears are folded and move with the dog's expression. Grooming the Berner's coat is not difficult but takes time. Brushing twice weekly is needed to keep the coat clean, but during shedding seasons, usually spring and fall, daily brushing will keep the loose hair in the house somewhat under control. Although Berners are shown in dog shows with a natural coat, many owners prefer to trim the long hairs on the feet and ears to help keep their dogs neat and clean. As working farm dogs, Berners need daily exercise. However, this breed is not designed for fast running; instead, this is a strong, powerful breed. A long, brisk walk followed by a game of tennis ball retrieve will keep most Berners happy. Other activities, such as trick training, agility, and carting, can help keep body and mind challenged. Although Berners can be a little cautious with strangers, they were not bred to be overly protective or watchful. As a whole, they are even-tempered, good-natured, and friendly. Socialization during puppyhood can make sure you're taking full advantage of the breed's wonderful temperament. Training should begin early with these large, powerful dogs. Training should be fair and fun and should continue even after a basic obedience class. Bred to work, a bored Berner will get into trouble. However, a Berner who learns how to pull a cart, works as a therapy dog, or performs tricks will have a job to do and, as a result, will feel needed. Berners are wonderful with children, usually very patient and tolerant. Activities should be supervised, of course, as Berners are large dogs and sometimes don't know their own strength. Berners are usually very tolerant of other pets. Family-oriented Berners do not like being isolated and should never be considered backyard dogs. Major health issues include hip and elbow dysplasia, bloat, von Willebrand disease (a bleeding disorder), eye disorders, and cancer. ^^hese adorable white fluffy dogs originated in the Mediterranean regions of Italy, Spain, and the Canary Islands. 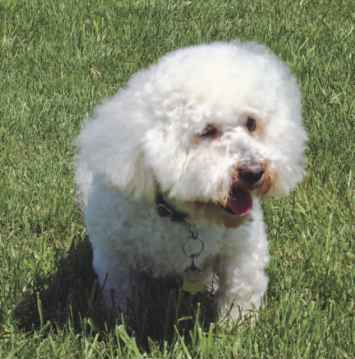 Descended from the Barnet (or water spaniel), they were often called Barbichon, which was shortened to Bichon, and later were called Bichon Teneriffe. The breed's small size, happy personality, and appealing coat made the dogs wonderful companions. In the 1300s, sailors brought the dogs aboard ships as companions and as barter for other goods at ports of call. Using them as barter spread the dogs' popularity throughout the Mediterranean and into Europe. In the 1500s, Henry III was a fan of the breed, as was Napoleon III. The Bichon Frise stands between 9.5 and 11.5 inches tall and weighs between 10 and 16 pounds, with females smaller than males. The eyes are dark and expressive, the tail is carried happily over the back, and the white fluffy coat draws your hands—you simply must touch it. Although the Bichon is a small dog, she is sturdy, with a strong little body. At one point during the breed's history, in the late 1800s, she was known as the circus dog or organ grinder's dog and danced and performed tricks for the amusement of onlookers. Bichons today still retain those athletic abilities. The breed's fluffy white coat is very appealing but does require regular grooming to keep it in shape. If the coat is ignored, it will mat (tangle). If matting is not taken care of right away, the entire coat could become matted, requiring a professional groomer's services to shave the dog. Therefore, the coat should be brushed and combed daily. 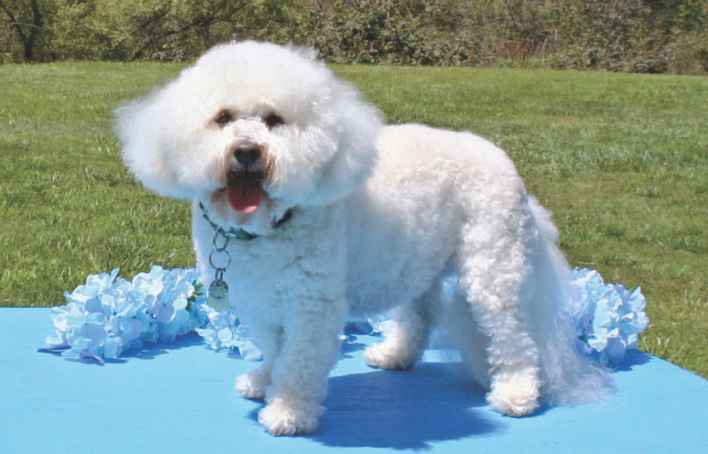 Although the Bichon's coat does not shed, it does grow continually and requires trimming. If you wish to trim your Bichon yourself, talk to your dog's breeder for guidance. Most Bichon owners find a professional groomer who knows the breed and then bring their dogs in for grooming every four to six weeks. The Bichon's exercise requirements are not extreme. Older puppies and young adult dogs are the most active, but a good walk morning and night with a game of catch at midday will keep most of them happy. Bichons do like to play, are always open to a challenge, and have participated in obedience competitions, agility, and flyball. Early socialization is important for all Bichons. Although the breed is, for the most part, happy and extroverted, some puppies can be quite reserved. With socialization, even these puppies can learn that the world is really a wonderful place. Training is important as well; this is a bright breed, and if not trained, they can easily train their owners to do exactly what they wish. 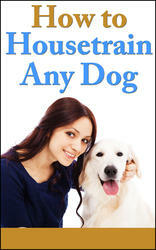 Housetraining can be a challenge; set up a routine, use a crate, watch the dog carefully, and be patient and consistent. Bichons are alert watchdogs, barking when anyone approaches the house. With family and friends, they are very affectionate and playful. Although they are sturdy, have a happy temperament, and enjoy children, they can be too small for rough childhood play. They are good with other pets, although interactions with small animals should be supervised. Primary health concerns include knee problems, eye disorders, and allergies. How much is a dog white fluffy dog? How much much a white fluffy puppy?